Boy has always been relegated to the outskirts of his small village. With a large hump on his back, a mysterious past, and a tendency to talk to animals, he is often mocked and abused by the other kids in his town. Until the arrival of a shadowy pilgrim named Secondus. Impressed with Boy’s climbing and jumping abilities, Secondus engages Boy as his servant, pulling him into an expedition across Europe to gather the seven precious relics of Saint Peter. Boy quickly realizes this journey is not an innocent one. They are stealing the relics, and gaining dangerous enemies in the process. But Boy is determined to see this pilgrimage through until the end—for what if St. Peter can make Boy’s hump go away? This compelling, action-packed tale is full of bravery and daring, stars a terrific cast of secondary characters, and features an unlikely multigenerational friendship at its heart. 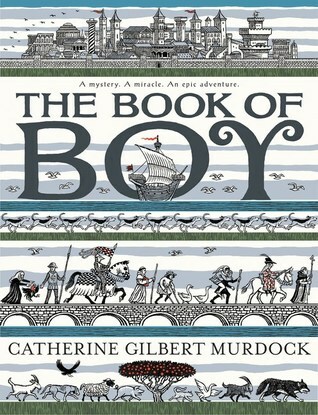 Memorable and haunting, Catherine Gilbert Murdock’s epic medieval adventure is just right for readers of Sara Pennypacker’s Pax, Adam Gidwitz’s The Inquisitor’s Tale, and Pam Muñoz Ryan’s Echo. Features a map and black-and-white art throughout. Medieval stories aren't really my favorites, but I'd heard good things about this one so I decided to pick it up. Unfortunately, it turned out to be not really my thing. The book does have plenty of good things going for it though. The writing is excellent, the plot compelling, and the characters intriguing. The details about life at the time including disease, injury, and religious beliefs are all well presented. Those who enjoyed The Inquisitor's Tale will probably like this one, the two books have a similar type of story with similarly unique characters. The problems I had with this one are similar to the problems I had with The Inquisitor's Tale and relate to my own religious beliefs. I'm not a fan of stories that involve taking liberties with religious beliefs, people, and organizations. That very much happens here in relation to ideas about hell, angels, and 'earning' one's way to heaven by collecting so-called religious relics. And the fact that Secondus is stealing the relics with Boy's help doesn't make me feel any better. 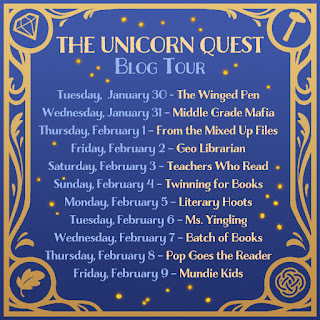 The book may be considered a Newbery contender by some, but I'm afraid that like The Inquisitor's Tale, this one is going to have a very selective audience. Specifically those who like unusual stories that take place in a hard-to-relate-to time period with rather unusual religious aspects to it. I have a hard time getting kids to pick up historical fiction as it is, I'm afraid this one might be a hard sell despite how well done it is. Beautiful photography and lyrical text pair with comprehensive picture captions in award-winning author Melissa Stewart's story about the surprisingly diverse world of seeds. Learn all about the plant cycle, from how seeds grow, the fascinating ways they travel, and what it takes for a seed to become a plant. Meet seeds that pop, hop, creep, and explode in this vividly illustrated introduction to the simplest concepts of botany. 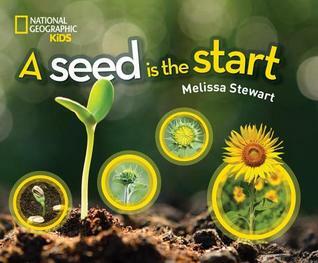 The story, which is perfect for elementary school Common Core learning, carefully highlights the many ways that seeds get from here to there, engaging children's curiosity with strong action verbs. Stunning photographs with fact-packed captions provide supporting details, explaining the role of seed features and functions in creating new generations of plants. Complete with an illustrated glossary and back matter featuring more resources, this book inspires wonder as it encourages budding botanists of all ages to look with new eyes at plants and their seeds. I learned a lot about the different ways that seeds travel in this book. I knew about animals eating them and then depositing them in various locations in their poop. I knew about seeds that fly thanks to light fluffy hairs. I learned bout seeds that spin and slide, seeds that tumble and spill, seeds that travel by water, and seeds that POP! The text is written in such a way that the book can be used with multiple age groups. Use the large text with younger students, the middle white text with slightly older students, and the full text with older students. The beautiful design of the book and the typically gorgeous National Geographic photographs make this a wonderful book for sharing and teaching about the wonderful world of seeds. In his meteoric, thirteen-year rise to fame, Dr. Martin Luther King Jr. led a mass movement for Civil Rights -- with his relentless peaceful, non-violent protests, public demonstrations, and eloquent speeches. 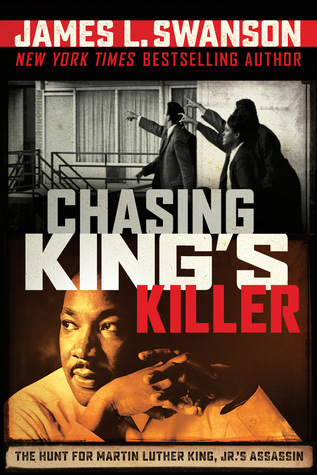 But as violent threats cast a dark shadow over Dr. King's life, Swanson hones in on James Earl Ray, a bizarre, racist, prison escapee who tragically ends King's life. As he did in his bestselling Scholastic MG/YA books Chasing Lincoln's Killer and "THE PRESIDENT HAS BEEN SHOT! ", Swanson transports readers back to one of the most shocking, sad, and terrifying events in American history. Swanson has written another compelling narrative account of a heinous crime. Just as in his two previous assassination accounts, Swanson gives the reader both the before and after of King's assassination. He starts with the account of an attack on King that I'd never heard of before. An attack that nearly killed him ten years before his actual assassination. Dr. King's work in the civil rights movement truly made him a target and he knew it. But he didn't let it stop him from continuing his efforts. While the book is not a full length biography of Martin Luther King Jr. Swanson does provide enough information to give the reader context and understanding as to why someone might want to kill the man. After introducing the reader to the target of the assassination, Swanson introduces the reader to the assassin himself, James Earl Ray. While some conspiracy theorists may continue to wonder and speculate about Ray and whether he was innocent or part of a larger plan, Swanson shares the evidence the makes it clear that Ray was indeed the killer, and most likely worked alone. Using a plethora of sources (which are thoroughly documented at the end of the book), Swanson walks the reader through the days leading up to the assassination and the days following. It was fascinating reading about Ray's escape and the FBI's work to find him. What I found truly shocking though was the violence that broke out after King's murder. I had no idea there had been so much violence, especially considering King's nonviolent stand. The book walks the reader past the violence, past the funeral, past Ray's sentencing, followed by his ongoing efforts to prove his innocence and his escape attempts. The photographs provide a particularly powerful picture of events shared in the book. But after all is said and done, after the burial, and the sentencing, and everything else, one question remains: why did Ray kill Martin Luther King, Jr.? We will likely never know as Ray spent the remaining years of his life denying that he'd done it at all. Twelve-year-old Gordy Stitser is one of the few people who knows the truth about the secret society of potion masters, because not only is Gordy's mom on the Board of Ruling Elixirists Worldwide (B.R.E.W. ), but she has also been training Gordy in the art of potion-making. Gordy Stitser's grown up knowing he has a gift for making potions. And to his benefit, his mother has the skills and authority to teach him how to harness those abilities. Gordy loves spending time in his mother's basement lab creating potions of his own. But things take a bad turn when Gordy discovers what his mother really does on all her trips. She works for the Board of Ruling Elixirists Worldwide (BREW) enforcing policies and rules among elixirists. But when Gordy's Aunt Priss sends a special package with the Eternity Elixir to Gordy's home when his mother's gone, his stable world explodes into chaos. Gordy and his friends Max and Adilene struggle to keep the enemy at bay, but the elixirist they are up against is far more powerful than they could imagine and time is not on their side. Cole has created a series opener that is very appealing with likable characters, an interesting world premise, and plenty of action. The humor keeps the book from getting too scary. The wide variety of invented potions makes for a fresh new take on the 'chosen one' story. Plus, Gordy isn't on his own. It was refreshing to have his parents and other adults around to help him in his efforts. Too many fantasy books have either no parents or bad ones. This is a delightful new series that I look forward to continuing to read. 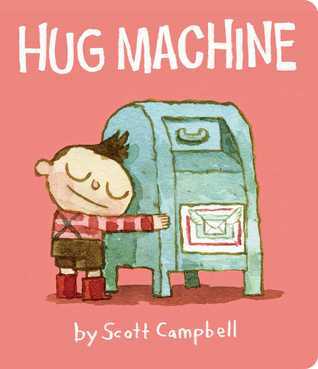 This is an adorable book about a little boy who calls himself the 'hug machine'. He spends most of the book hugging anything and anyone in sight. He hugs his family, the neighbors, a police officer, a tree, a bench, and a post office box. He also hugs a crying baby, and even a porcupine (with appropriate protection). But who will hug him when all his energy runs dry? Having been hugged numerous times by young hugging machines, I can say that there is nothing quite like it. The innocence and affection behind it is truly sweet. This works for younger kids, but probably shouldn't be encouraged in older kids though, at least not without permission. “I love you” may sound different around the world, but the meaning is the same. 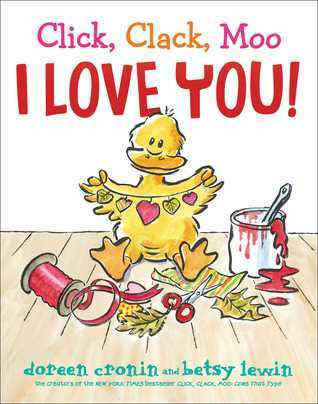 From China, to France, to Russia, to Brazil, and beyond, this charming board book features “I love you” in ten different languages. 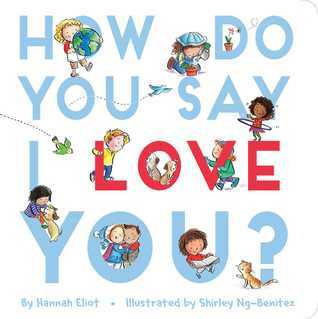 This adorable board book teaches that while there are numerous ways to say I love you, the feeling behind the words is the same. The author even manages to keep rhyming, even when presenting the words in other languages, quite impressive. Thankfully the pronounciations for each phrase are shown under each phrase. 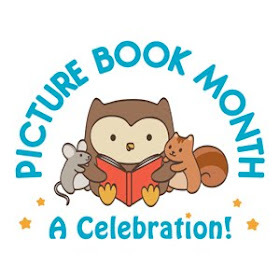 The illustrations are cute and appropriate and even include some cultural icons to connect with each language. But the focus here is on the love between the children and the people around them. 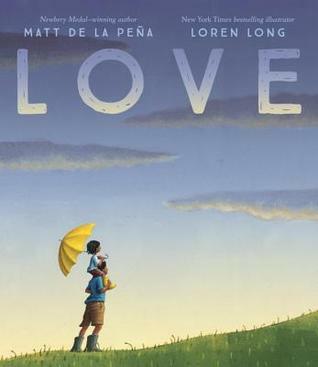 A young boy learns about love through the colors of things around him. The warm yellow sun, having breakfast with his family in the sky blue kitchen, and riding on the yellow orange bus with his friends all show things in his life that the boy loves. 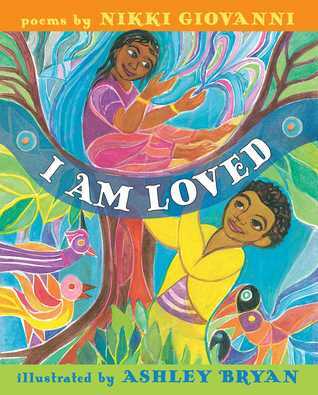 This is a bright, colorful book that compares love to the beautiful colors in the world around us. 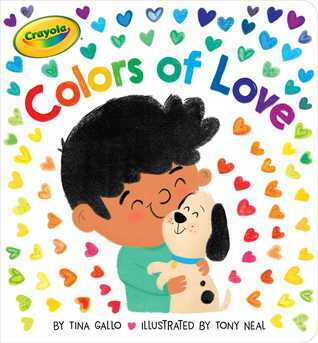 In this delightful way, parents, teachers, and caregivers can help children learn to express feelings in the colors that they see. Claire Martinson still worries about her older sister Sophie, who battled a mysterious illness last year. 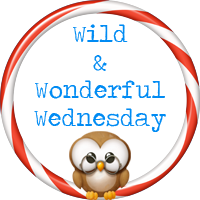 But things are back to normal as they move into Windermere Manor... until the sisters climb a strange ladder in a fireplace and enter the magical land of Arden. There, they find a world in turmoil. The four guilds of magic no longer trust each other. The beloved unicorns have gone, and terrible wraiths roam freely. Scared, the girls return home. 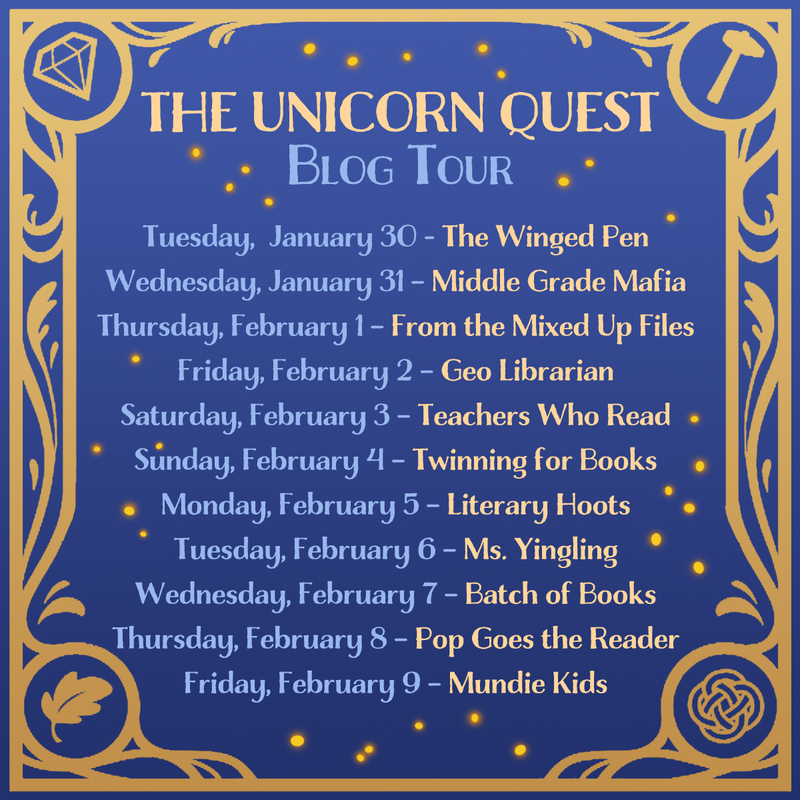 But when Sophie vanishes, it will take all of Claire's courage to climb back up the ladder, find her sister, and uncover the unicorns' greatest secret. 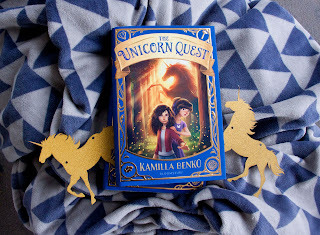 Unicorns are pretty popular among my girl readers these days and I have to admit I'm a fan of them too. So when I heard about this book I knew I needed to pick it up. And I'm glad I did. First of all it starts in a mysterious old mansion full of artifacts, a setting that I happen to particularly love, I mean who wouldn't want to explore such a place. Second, we have two sisters who are very different who are struggling to get along but who love each other. And third, there is a quest. Interestingly it's Claire, the uncertain one, who finds comfort in her pencil, that must gather her courage to find her missing sister. 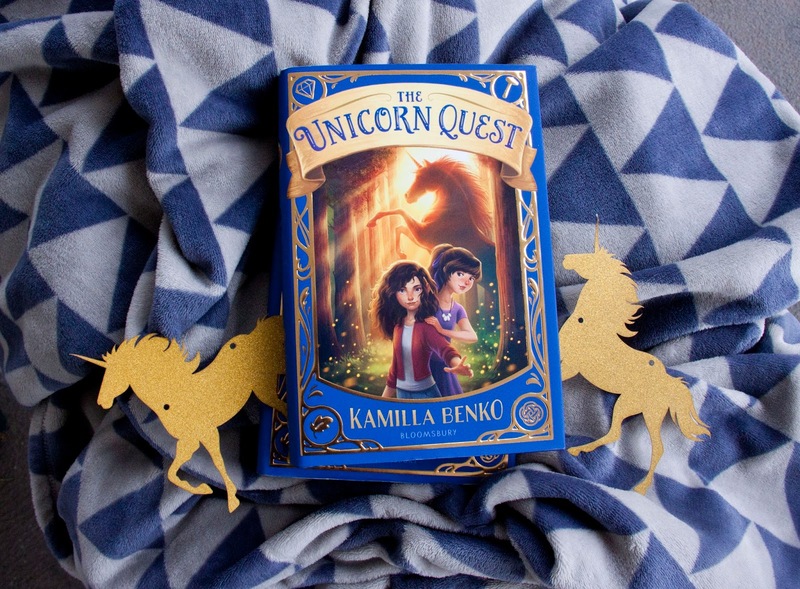 And things get even more complicated when Claire discovers that her sister has been accused of stealing an important unicorn artifact. With the help of some new found friends, Claire sets out to find her sister, not realizing that she will find far more than she ever bargained for along the way. 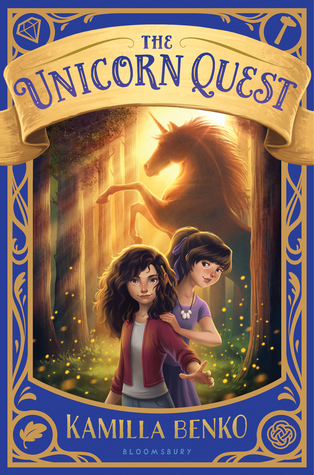 A fun, engaging fantasy for the unicorn-loving set. And isn't that cover gorgeous! The Chicken Squad prides themselves on being ready for anything. Marshmallow life preserves? Check. Copious bags of jellybeans for a car ride? Check. Storm shelter? Storm shelter! They need a storm shelter in case there is ever a storm. So Sugar takes it upon herself to build one in the yard. But it turns out it’s not big enough for everyone. And the big dig has unearthed some mysterious surprises. 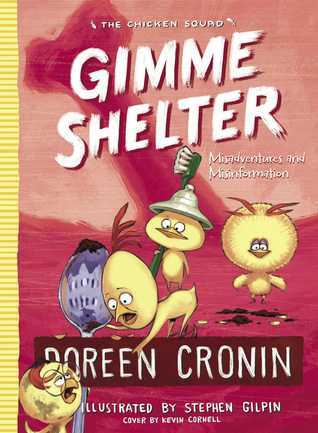 Doreen Cronin's Chicken Squad is back in their fifth adventure. This time around the four siblings face off over a storm/meteor shelter. Sugar, who tends to take the lead, insists they must be prepared for any upcoming storms which she changes to meteors as soon as Dirt (the educated one) tells her about them. The problem is the hole isn't big enough for them and J.J. Tully (the former search and rescue dog) and their mother Moosh. This argument leads to a decision to vote (an election held by Sugar alone at 3 a.m. in the neighbors garage so she gets her way) to settle the dispute. When the digging commences another issue arises with the discovery of a bone. Further arguments about just what they have discovered as well as conflict with the neighbor boys, squirrels, and chipmunks create trouble all over the place. 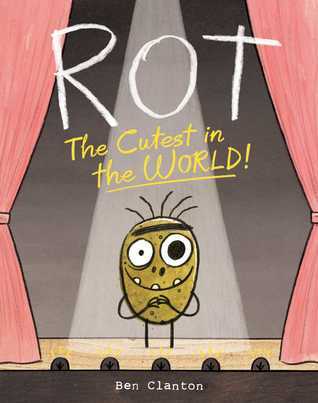 Cronin has created an amusing story that young readers are bound to enjoy. And Gilpin's illustrations complement the story perfectly. In this delightful ode to the relationship between a girl and her dog, the author has created a wonderful book for sharing with a group or reading one-on-one. The five short stories in the book highlight the fun that Nicky and Barkus have together. The first story introduces Nicky and Barkus to each other. 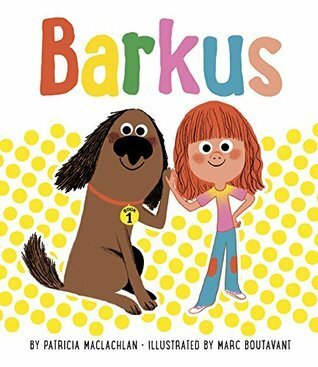 Story two introduces Barkus to Nicky's class at school. Story three revolves around Barkus's birthday. Story four sees Barkus adopt a kitten and story five has Nicky and Barkus enjoying their first outdoor campout. The bright illustrations are very eye-catching and appealing.